Professional Dual pulling system for aluminum and steel panels with premium output power and digital control for ease of use and quick repairs. Select ALUMINUM or STEEL mode and set operator adjustments. 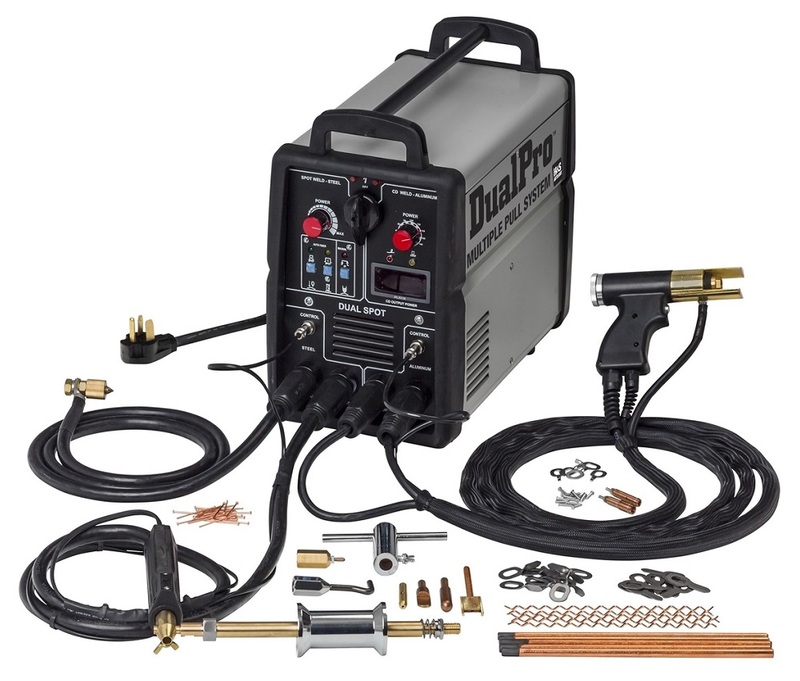 System comes with Aluminum CD-gun and steel torch, 4mm and 6mm AL collets and studs, 4 spot tips for studs, wire, tabs or shrink rod and connects directly to slide-hammer for "Touch and Pull" operation with exclusive weld-tips. Package includes power supply with extended torches and ground cables, 2 AL-tips and 5 steel-tips, powered slide hammer with T-handle and hook, studs, tabs, wire and rods. Dimensions: 10.12" X 14" X 19.87"